click for a 10% on Office Plan! It has been a long time since our original review of VirtualPBX’s product and consequently it is time to revisit their new product line as they have re-engineered and reinvented their VoIP product. 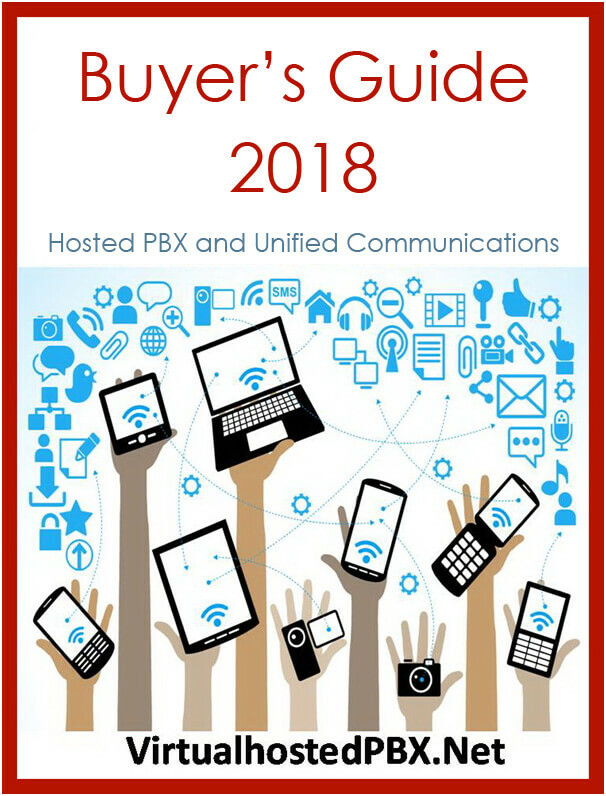 VirtualPBX was always one of the most intuitive and pioneering vendors of IP PBX products but in recent years they had tended to fall behind their competitors in terms of features, function and value for money. However, VirtualPBX have reinvented their IP PBX product to incorporate all the modern features and functions expected from a unified communication system. As a result the modern release of VirtualPBX is barely recognizable from the pioneering brand that served their customers so well for over two decades. VirtualPBX are based in San Jose, California and are one of the pioneers of cloud based hosted IP PBX systems. VirtualPBX’s management team pride themselves on the fact that they are continuously striving to develop, support and improve their hosted IP PBX in order to deliver the best possible product to their customers. This is of course easier said than done but VirtualPBX over the last couple of decades have proven themselves capable in delivering on that promise. As such VirtualPBX have delivered innovative, feature rich and well supported hosted PBX systems to small and medium businesses and have gained a fine reputation along the way. Therefore, when we heard that VirtualPBX had redeveloped their hosted PBX product we felt it was time to go back and review their product fresh. VirtualPBX‘s Dash product is their entry level service for virtual telephone customers. Dash is not a hosted IP/PBX class system; if you are looking for that level of service then you need to look to VirtualPBX’s Office product line. Instead, Dash is a Virtual telephone system which has a reduced set of features predominantly as the service in focused upon answering incoming calls rather than managing both inbound and outbound calls as is the requirement in an office environment. Virtual telephone services like Dash are popular because they provide an inbound call management service that can give a small business many of the advantages that larger businesses have such as a call attendant that makes sure no calls ever go unanswered. The advantage of this is that the small business can use their mobile phones or home landlines or both as business extensions. In addition the small business also benefits from having a single business number for their customers as well as many business class features that are just not available on standard telephones or mobile services. As a result the Dash product line is aimed at the small to medium sized business that is always on the go and not office bound. It provides an inbound call management service to customers that perhaps do not have a central office or are just out most of the time visiting customers or just require a virtual telephone system with all the features of a large business. Dash is popular with entrepreneurs and small business people because VirtualPBX’s Dash provides an incoming call answering service that guarantees that no calls will go missed and will be answered around the lock on a business number and then transferred to another phone, or passed to voicemail, but typically to the customer’s mobile, all seamlessly and transparent to the caller. This gives the caller a good impression of the business as their calls are handled in a professional manner. Dash is an inbound call management system which comes with a limited feature set compared to its bigger sibling Office but it is certainly sufficient for those requiring an inbound call system. The best way to get a feel for what Dash provides and crucially what it doesn’t is to take a walk through the feature set. As we know Dash provides a real business number as a single point of contact for customers. An auto-attendant will answer calls to that number day or night and upon professionally greeting the caller with a customizable greeting offer them a menu of options. The menu is provide by an IVR, which imply reads out a selection of options such as press 1 for sales, 2 for support, 3 for Finance etc. The caller will then chose an option and Dash ill transfer the call to a pre-configured telephone such as an employee’s mobile or home number. This is common to all virtual phone services but Dash offers some other features on top of this. For example Dash provides an option to use an automated call directory or to record inbound calls. There is also an option to route calls intelligently by operating a schedule for out of hours and holidays so that calls will still be answered but the caller directed to voicemail extension of their choice. Similarly when callers are waiting to be connected as Dash transfers a call to an employee’s phone there is an option to play on-hold music or information to the caller. These are all features that an administrator can configure s they are centrally controlled options that affect all calls. However individuals can also customize their own personal setting via the online console. The individual settings that they may wish to change are the number of the phone that calls are to be transferred to or the order of the phone numbers to be called, as more than one phone may be configured. This is termed follow me where by Dash will try a list of phone numbers in sequence in order to try to find you. Alternatively if calls are important you could ring all the numbers simultaneously. Conversely, there is also the option to put the extension on do-not-disturb. One often overlooked feature when considering doing away with a standard telephone system if the fax machine as it still is a common and legally accepted way to transfer confidential documents and contracts. Dash handles Fax by email which is fine for outbound fax but no solution for incoming fax calls. Voicemail is a standard feature across all virtual telephone services today but Dash provides a nice touch with its DiD (direct inward dialing) so that callers can call straight through to the employees extension rather than go through the main business number. This is also true of incoming personal calls. In addition employees can configure on the online portal where they would like their voicemail notifications to go such as to email. Audio conferencing is another business requirement and Dash provides a means for 3-way calling which isn’t really audio conferencing and is available on most standard VoIP telephones, but it is available. DASH prices range over three groups, single user, 2-99 users, and 100 users plus. Additionally there are some constraints, single user is paid up front annually, whereas with 2-99 you have the option of monthly payments albeit under an annual contract, 100 + allows you the freedom of monthly payment without a contract. So in summary Dash is a perfectly capable virtual telephone system for the features and functionality it provides. However the pricing may put some people of as they have raised by $5 an extension per month over the last few years when the competitions pricing have remained unchanged. If you are looking for more features and a full inbound and outbound service then VirtualPBX has a hosted IP/PBX cloud service called Office. This is a fully featured small enterprise class system with all the telephone and even some contact center functions. Office is a big jump up from Dash but for a business premises phone system catering for outbound calling from business extension phones it will be for most businesses with permanent bricks and mortar premises a necessity. As a result of being targeted at SMB with greater phone system requirements Office comes with far more features and advanced functions. 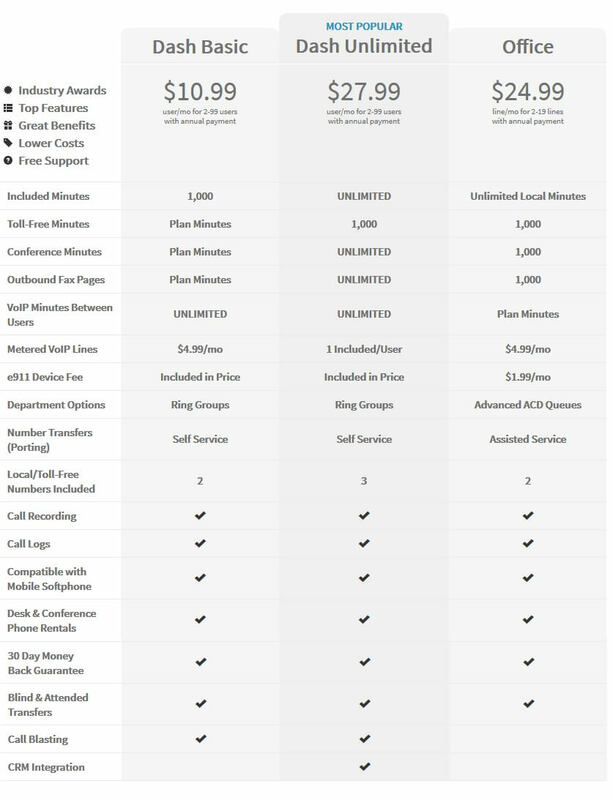 However it is not just with unlimited calls that DASH and Office differ as they also have different feature sets. For example DASH has a professional feature set which is closer to a virtual telephone system that a PBX service with features such as an auto attendant, customized greetings, call groups, call transfer, call conferencing, voice-mail and some nice call handling features such as call parking. DASH should be considered to be more a virtual telephone system rather than a fully functional IP PBX. Office on the other hand is feature rich and is a hosted IP PBX service with all the functionality you would expect from such a service. The features Office provides that are not present in DASH are the True ACD routing features that differentiates Office not just from DASH but a lot of the competition. True ACD provides the advanced call queuing and management functions required by professional call centers by even call distribution, skill-based routing, advanced call management and agent presence and importantly real-time monitoring and reporting. These features may not be required by all SMBs as they are call and contact center focused but they do make all the difference even if your business just has heavy inbound call load. Additionally for SMB’s just starting out with VoIP, VirtualPBX also has a Concierge service, which will guide you through the installation for a fee of $50. The Concierge service will also provide support going forward and ensure the system is optimally configured though that costs $49 per month. How does DASH compare to Office? 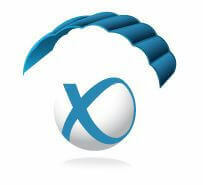 So why if you are an existing customer of VirtualPBX’s Office service plan migrate over to DASH? Well to understand that we have to look at the pricing plans for Office. One of the most disappointing aspects of both Dash and Office is that they do not include their mobile app or their smartphone included in the basic price plans or feature set. 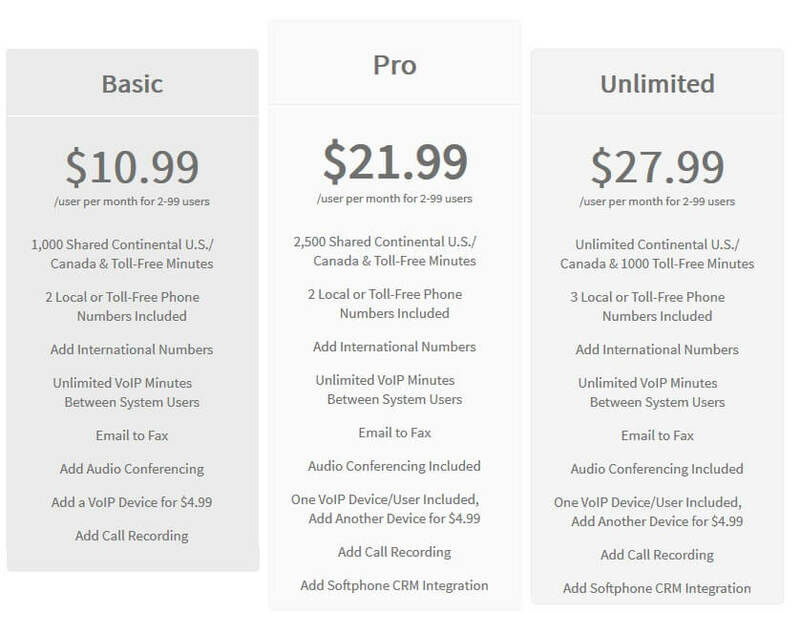 Instead all softphones register as metered lines that cost $4.99/month. And this will also include any third party app you try to install and get working with Dash or Office. For Office Plans, minutes cost 3.6 cents per minute for 100+ lines, 3.7 cents for 20-99 lines, 3.8 cents for 2-19 lines, and 3.8 cents for 1 line. Desktop softphones are $39.99 and are setup by our Customer Support team. The desktop softphone also registers as a metered VoIP line on your VirtualPBX account. Similar to the desktop and smartphone softphone apps that provide employees with mobility and the flexibility to work anywhere, VirtualPBX have also introduced a remote extension manager app. This new function provides for Office supervisors to remote manage VirtualPBX extensions, set call routing, log in/out, and manage ACD Queues remotely from any internet-enabled device. VirtualPBX offers another service aimed at business continuity and disaster recovery. What the Parachute service provides is a fully configured PBX system that will act as an emergency telephone system should your onsite PBX become unavailable. Parachute acts as a hot standby system which will automatically switch over when the customers PBX fails thereby providing business critical telephone service. Furthermore, in the event that the company’s premises are unavailable Parachute can reroute calls to mobile phones or any temporary location. What is ICE and NAT Traversal?